Andy Murray admits his return to the US Open brings mixed emotions as he wonders how his surgically repaired hip will hold up to the rigors of his first Grand Slam in over a year. 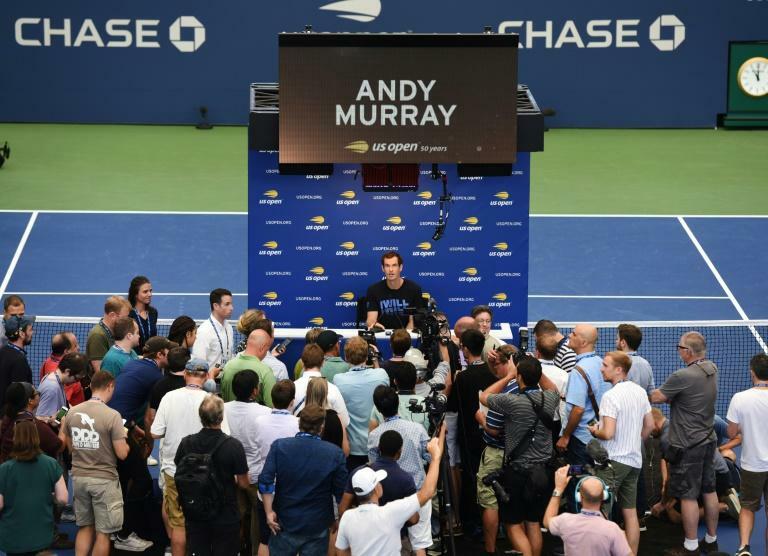 "It feels slightly different, this one, because for the last 10 years or so I've been coming and trying to prepare to win the event, whereas I don't feel like that's realistic for me this year," Murray said as he met reporters on the new Armstrong Stadium court on Friday. "It's a slightly different mentality for me coming in than what I have had the last 10, 11 years of my life. That feels a bit odd." Murray, who won the first of his three Grand Slam titles at Flushing Meadows in 2012, arrives this year ranked 378th in the world and still working his way back from hip surgery in January. In all he was off the court for 11 months. The 31-year-old hasn't played a Grand Slam since losing in the Wimbledon quarter-finals last year. He acknowledged that he won't know how his body responds to best-of-five set matches until he's called upon to play them. "You don't know until you actually get out there and do it," the 31-year-old said. "That's the thing. I played some long matches in Washington. They were all over two-and-a-half hours, and a three-hour match. Three of them in four days. The benefit of the Slams is having that day off to recover in between, which will help me." Murray also dodged a bullet in the draw. Unseeded at a major for the first time since Wimbledon in 2006, he could have faced a first-round clash with any of the top seeds but instead will take on 445th-ranked Australian James Duckworth -- who has endured a litany of injuries himself. Murray, who pulled out of Wimbledon on the eve of the Championships saying he wasn't yet ready for best-of-five set matches, has played hardcourt tournaments in Washington and Cincinnati in preparation for the final Grand Slam of the season. Prior to a first-round exit in Cincinnati he posted three gritty victories in the weather-disrupted Washington event. Moments after his 3 am finish won in a three-hour third-rounder there, Murray was collapsed in a chair, sobbing, a reaction he admitted took him by surprise. "I was physically tired. My body was sore. I hadn't been in that sort of match or position for a really long time. It was a combination of lots of things. It's strange that during the match, I wouldn't have anticipated that that's how I would have felt at the end of it. But obviously was just really emotional for lots and lots of different reasons." The next day a weary Murray withdrew from the tournament. Although he didn't make much headway with his match fitness in Cincinnati Murray said his return to New York was already yielding benefits. "It's been good," he said of the chance to practice with the game's best players. "My body feels better than it did a few weeks ago, so that's positive. "Just being around these players and practicing with them more and more on a more consistent basis is going to help me improve."